He has been the longest serving Chief Minister of Gujarat, he served for 12 years. His hard work and dedication from being a small tea seller to a Prime Minister of the biggest democratic country are praised worldwide. He is used as an example of how hard work and dedication can change a man’s life. His very ordinary way of living is appreciated by everyone and so we should do. 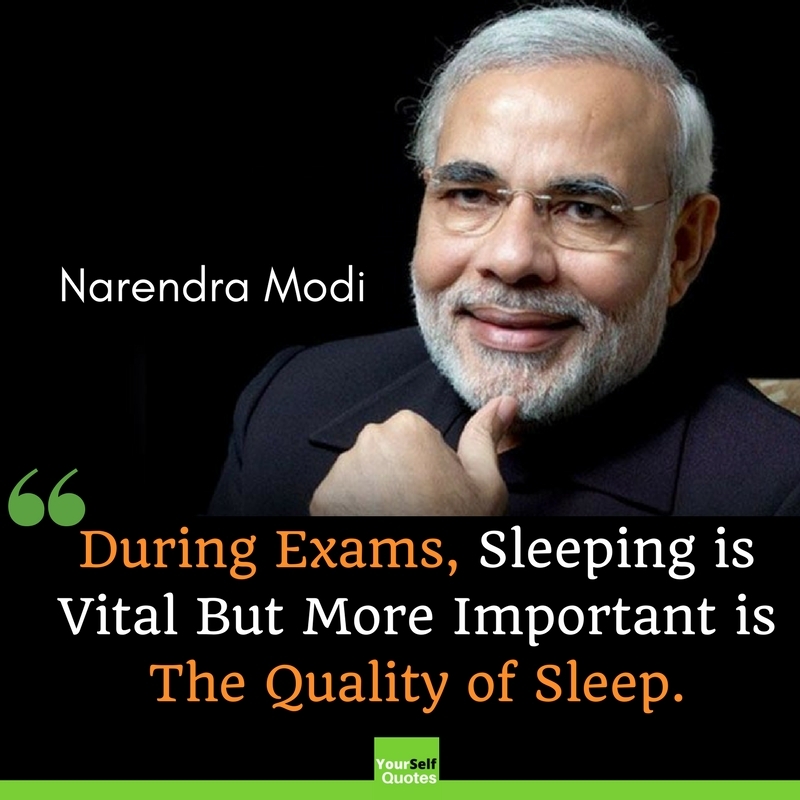 Narendra Modi is the ideal person who believes in the art of simple living. 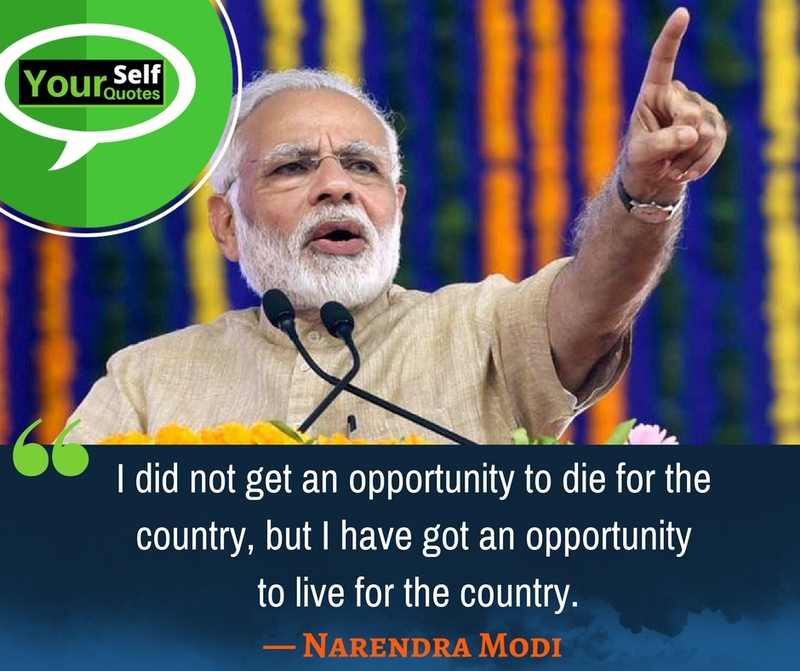 Quotes are given by Narendra Modi on various subjects like Development, Politics, Climate Change, Information Technology, Yoga Quotes, Youth, E-governance, Tourism, Education, Governance, Motivation, Social Empowerment, Innovation Sports, etc. 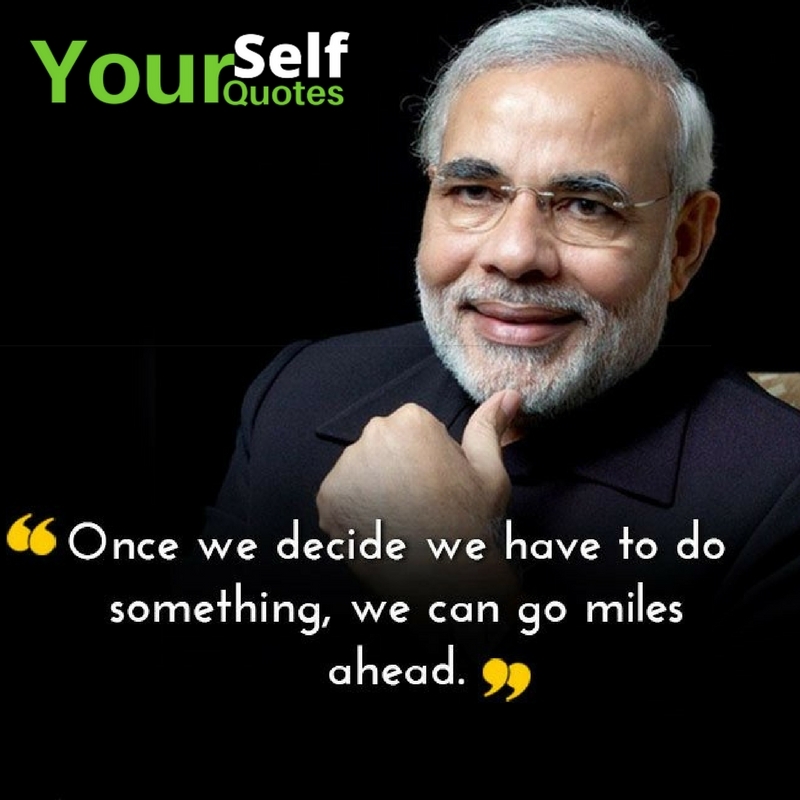 His public speeches show us direction in which we should lead our lives and we can make our lives better. He is an all-rounder who tries to cover every aspect of development from education to health, as he believes nothing should be left when it comes to development. His way of looking at life should be followed by everyone. His life and he himself have become an inspiration for everyone. 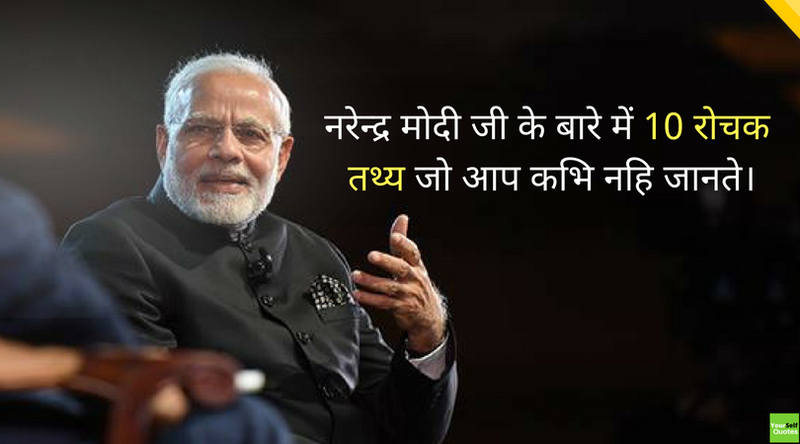 Following are the quotes are given by Modi in public speeches during elections and ‘Mann ki Baat’. 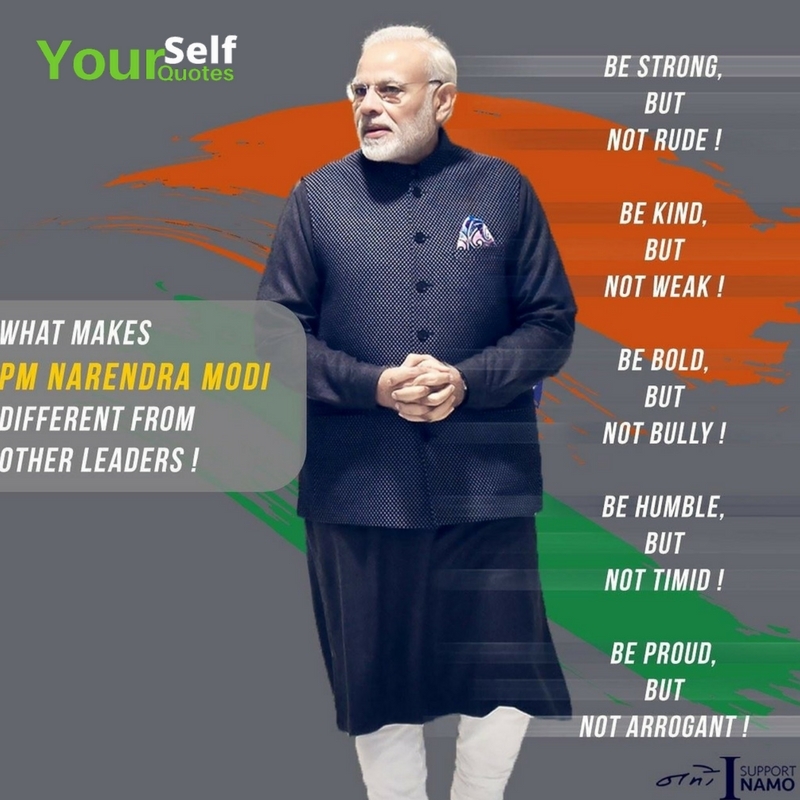 These are best sorted and collected Quotes of Narendra Modi gathered from all across the world wherever he has gone for public campaigning and meeting with other delegates from other countries. Himachal has much potential to expand it’s tourism sector. We want to strengthen it further. Strong tourism sector will boost the economy of the state. The Himalayas have so much to offer for spiritual pursuits, for the nature lover, for those interested in adventure, water sports. I invite everyone to come and explore the Himalayas. It is because of Sardar Patel we are realizing the dream of Ek Bharat, Shrestha Bharat. The statue of unity will be a fitting tribute to Sardar Patel and will draw tourists from all over. Good roads are a boon for a tourism. With a tourist comes economic opportunity for the locals. A golden opportunity for the weaver community has emerged where they can showcase their strength in the global market. This would strengthen them economically. महान लोगों के विचार से हमारे जीवन में बहुत प्रभाव पढता है इसलिए आज हम पढेंगे Narendra Modi Quotes in Hindi. 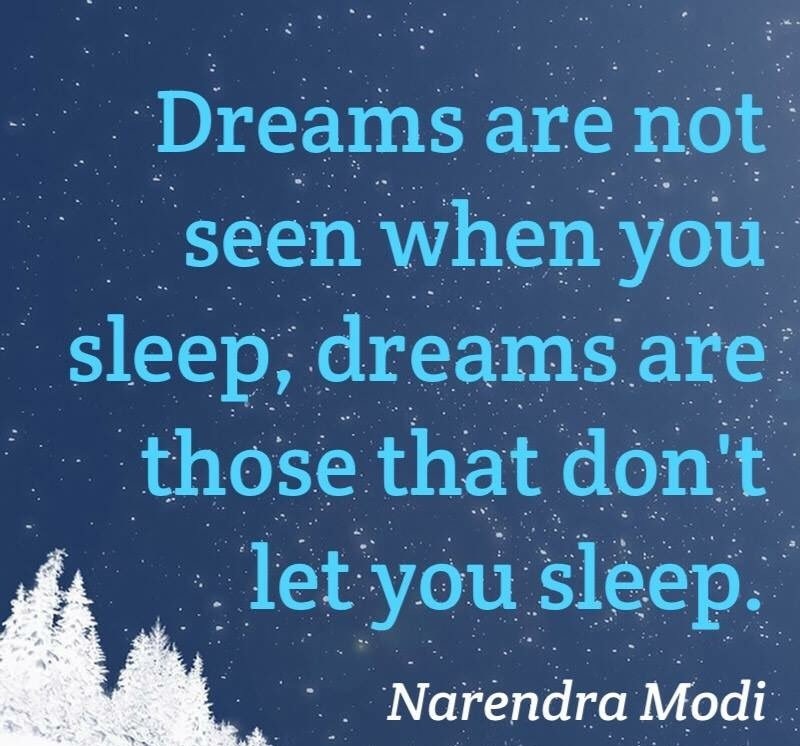 Now you must be feeling very enlightened with the precious words and quotes by honorable Prime Minister of India, Narendra Modi. 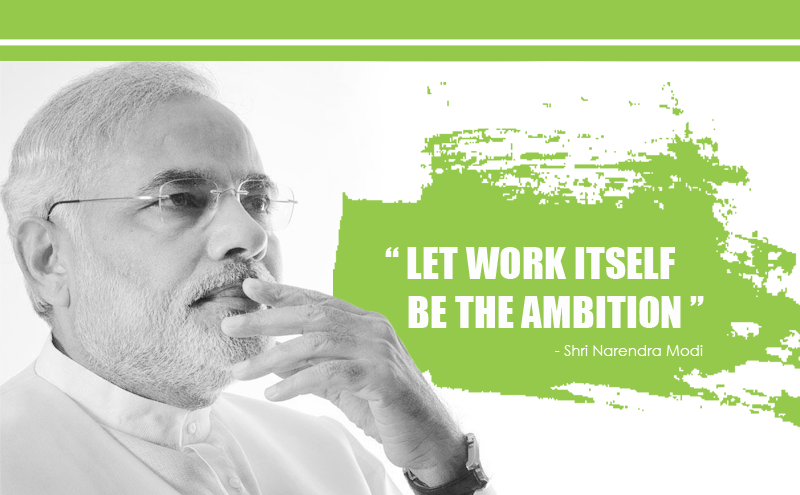 The Thoughts of Narendra Modi teach us how development is important for the prosperity of a country and its people. 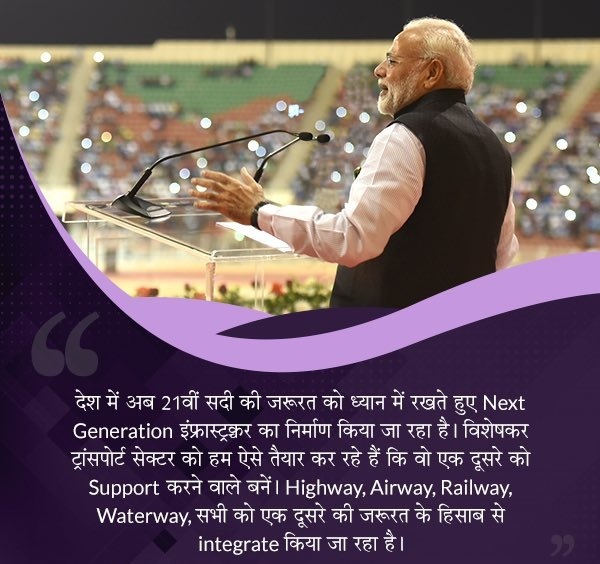 Narendra Modi is a very hard working person, he makes sure that he completes his tasks for the day on time and therefore leaves behind a mark to follow by the citizens of India. Everyone should realize their potential and work hard to achieve our goals. 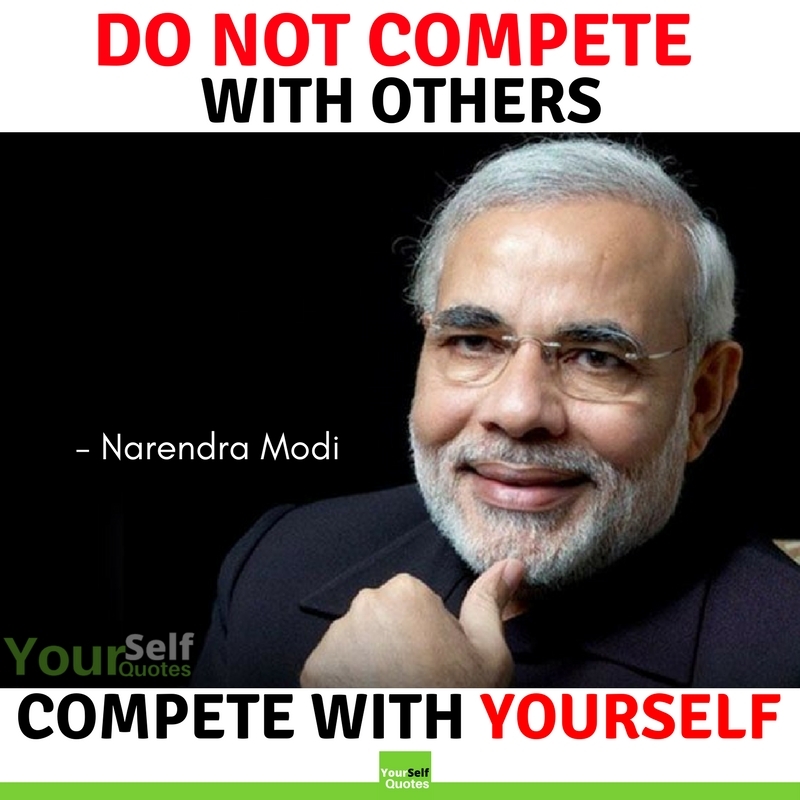 Narendra Modi Quotes evidently reveal that how progressive and developmental is Narendra Modi in his approach for India. He is a very forward-looking person and always urges the Indians to all always look forward and work hard for the citizens of India. We would like to thank you for visiting our page, hope you will send these worthy Words of Narendra Modi in your friends and family’s circle and regularly visit our Yourself Quotes for more updates later in the days.